Whatever you’re about to buy, she doesn’t really approve. In fact she’s a little disappointed in you. She doesn’t know why she expected more, but it just seemed like you were different than the rest. She won’t say anything now; it’s not the right time. But she will find a way to let you know her heart has cooled. 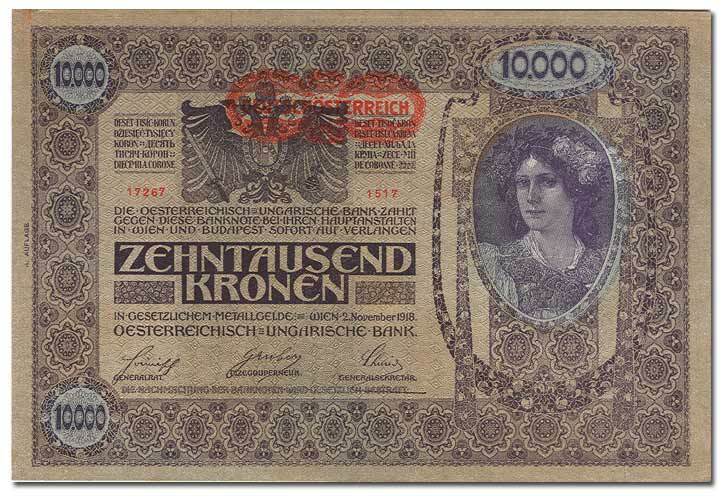 This Austro-Hungarian note is immense – this picture is about 65% actual size. You could use this thing as a car-dealership flag. Big money and high denominations: two signs that the currency has the value of shredded newsprint in a budgie cage.